Multiple new molecular biomarkers identified for lung cancer in large-scale study. Analysis of 607 small cell lung cancer (SCLC) lung tumours and neuroendocrine tumours (NET) identified common molecular markers among both groups that could reveal new therapeutic targets for patients with similar types of lung cancer, according to research presented today at the 2014 ASCO Chicago Multidisciplinary Symposium in Thoracic Oncology. Researchers from Georgetown University examined the clinical specimens of 607 total cases of small cell lung cancer tumours (375) and lung neuroendocrine tumours (232), which included carcinoid, atypical carcinoid and large-cell neuroendocrine tumours. 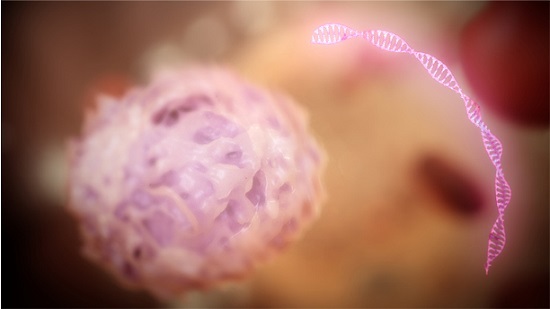 Biomarker testing was achieved through a combination of DNA sequencing (Next-Generation Sequencing or Sanger-based); immunohistochemistry to identify which proteins are present; and in situ hybridization testing, a form of gene amplification, to determine if any of the markers that can cause cancer cells to grow or to become resistant to treatment are present. Sequencing data were obtained from 201 total specimens (small cell lung cancer = 115, neuroendocrine tumours = 86). The 115 small cell lung cancer tumours harboured a wide spectrum of gene markers. Sequencing revealed mutations in p53 (57 percent), RB1 (11 percent), ATM, cMET (6 percent), PTEN (6 percent), BRAF (3 percent), SMAD4, KRAS (3 percent), ABL1, APB, CTNNB1, EGFR, FBXW7, FGFR2 (2 percent), HNF1A, HRAS, JAK3 (2 percent), MLH1 and PIK3CA (1 percent). Multiple genes of interest were found in the neuroendocrine tumours group of 86 tumours, including 66 pulmonary neuroendocrine carcinomas and 20 carcinoid tumours. Among the neuroendocrine tumours, mutations were seen in p53 (44 percent), FGFR2 (9percent), ATM (9 percent), KRAS (6 percent) and PIK3CA (4 percent) as well as EGFR (2 percent) and BRAF (4 percent). Analysis of the carcinoid tumours revealed fewer markers, with notable mutations in p53 (11 percent), HRAS (11 percent), and BRAF (6 percent). EGFR amplification was verified for 11 percent (5) of the 46 small cell lung cancer tumours tested. No small cell lung cancer tumours displayed amplification of cMET or HER2. The neuroendocrine tumours exhibited amplification of EGFR (13 percent), cMET (3 percent), and HER2 (4 percent) amplification, while the carcinoid tumours only showed amplification in EGFR (8 percent). The overexpression of cKIT (64 percent vs. 37 percent), RRM1 (54 percent vs. 28 percent), TOP2A (91 percent vs. 48 percent), TOP01 (63 percent vs. 43 percent), and TS (46 percent vs. 25 percent) was found more frequently in small cell lung cancer tumours compared to lung neuroendocrine tumours, respectively. Low expression of PTEN was more often identified in small cell lung cancer tumours compared to lung neuroendocrine tumours (56 percent vs. 36 percent). Molecular profiling of these lung cancer subtypes is not routinely performed, however, numerous mutations were found to be in common with non-small cell lung cancer tumours. Specifically, an EGFR mutation was noted in one small cell lung cancer specimen and one neuroendocrine specimen, an ALK rearrangement was detected in a neuroendocrine tumour, and HER2 amplification was seen in a neuroendocrine specimen. Even cancers that appear to be very similar can be dramatically different at the molecular level, and these differences may reflect unique vulnerabilities that could positively impact therapeutic options and decisions. The researchers stated that they are pleased that this research confirms these rarer subtypes; it calls for additional investigation on a larger scale. Once confirmed, molecular profiling of small cell tumours and neuroendocrine tumours could become standard, as it is currently for non-small cell lung cancers, which will be especially important as more molecularly targeted chemotherapy agents are developed. Glad to be one of numerous visitants on this awesome website : D.